Underground Hard Rock heavyweights THE ADMIRAL SIR CLOUDESLEY SHOVELL grace us with their presence for some loud, gritty riffing. Keep it Greasy! Suport from Notts based head splitters HAGGARD CAT and Bristol's 3-guitared anthemic rockers SUPERSEED. "There seems to be an endless horde of fresh-faced bands that proclaim to be resurrecting the spirit of rock n’ roll these days. They see themselves to grabbing the genre by the scruff of its neck and dragging it back to its supposed glory years. Yet, few bands can say they’ve lived the lifestyle quite like Admiral Sir Cloudesley Shovell. These working class grease rock bastards, fuelled by speed, cheap lager and roadside fry-ups, have the scars to prove their worth. It doesn’t parade itself as anything immaculate or ground-breaking – and we all know how tiresome such hyperbole infested press releases can be – but it is hellish fun. Stick it on at a neighbour-unfriendly volume and enjoy it for the sordid, fucked up time warp that it is and see for yourself." "Haggard Cat have stormed onto the scene over the last 12 months and there seems to be absolutely no letting up from them. Combining enormous hooks, violently voracious beats and thoughtful lyrical themes all pummelled out live at head spinning volumes with unrivalled intensity. To witness Haggard Cat live is as immersive as it is devastatingly chaotic, which is something the band has managed to replicate perfectly on their debut full length album. In 2019 Haggard Cat are hellbent on channelling the momentum made throughout 2018 and they look to turn up the heat even more as they hint mysteriously at the arrival of new music. They kicked off the year with a triumphant headline slot at Rock City Beta for Beat the Streets in their hometown of Nottingham, they then announced a support slot with Pigsx7 and Part Chimp (which sold out nearly instantly). The band will also appear with Employed to Serve later in the year, as well as playing two enormous shows at Shepherds Bush Empire and Manchester Albert Hall in support of Elvana." "Boasting a three pronged attack of singer/guitarists and a solid, driving rhythm section, this five piece band create a huge anthemic wall of sound guaranteed to get your cakes shaking. 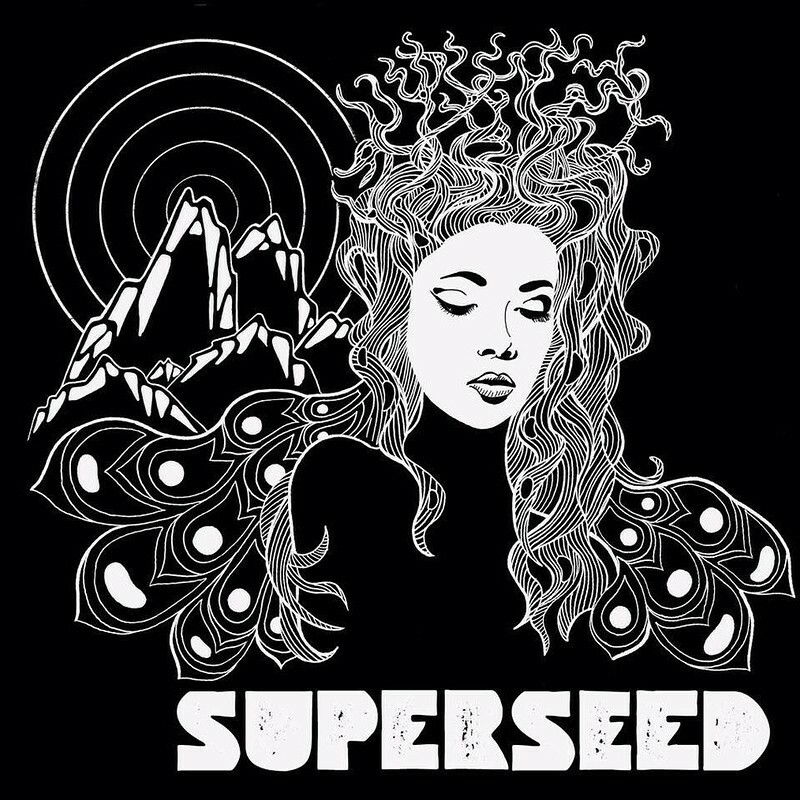 With a varied mixture of hard, classic, punk, stoner, grunge and garage rock influences proudly worn on their sleeves, Superseed manage to deliver an epic initial opus that will melt faces at fifty paces."